This article is about the original French version of Verdi's opera. For the Italian version, see I vespri siciliani. Les vêpres siciliennes (The Sicilian Vespers) is a grand opera in five acts by the Italian romantic composer Giuseppe Verdi set to a French libretto by Eugène Scribe and Charles Duveyrier from their work Le duc d'Albe , which was written in 1838. 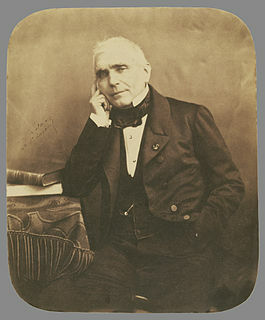 Les vêpres followed immediately after Verdi's three great mid-career masterpieces, Rigoletto , Il trovatore and La traviata of 1850 to 1853 and was first performed at the Paris Opéra on 13 June 1855. Grand opera is a genre of 19th-century opera generally in four or five acts, characterized by large-scale casts and orchestras, and lavish and spectacular design and stage effects, normally with plots based on or around dramatic historic events. The term is particularly applied to certain productions of the Paris Opéra from the late 1820s to around 1850; 'grand opéra' has sometimes been used to denote the Paris Opéra itself. The Sicilian Vespers was a successful rebellion on the island of Sicily that broke out at Easter 1282 against the rule of the French-born king Charles I, who had ruled the Kingdom of Sicily since 1266. Within six weeks, approximately 13,000 French men and women were slain by the rebels, and the government of King Charles lost control of the island. It was the beginning of the War of the Sicilian Vespers. Lu rebellamentu di Sichilia, fully Cronica di lu rebellamentu di Sichilia contra re Carlu, is a Sicilian historical chronicle of the War of the Vespers written around 1290. The anonymous Rebellamentu, probably written at Messina, was ascribed to Atanasiu di Iaci by Pasquale Castorina in 1883. Though the Rebellamentu sometimes adds valuable details to the history of the Vespers, it is frequently untrustworthy. Its monastic provenance is evident in its moralising tone. The antiquity of its language has placed its authenticity beyond doubt, despite its lack of an early manuscript tradition. This has not prevented speculation that it was written contemporarily with events: one verb in one manuscript is found in the first-person present; this may represent the author inadvertently stepping out of his usual frame of reference, or merely an error in that manuscript. When Scribe missed his July 1853 deadline, Verdi went to Paris to negotiate directly and it was then that the librettist proposed a solution, using a revised version of the libretto for Le duc d'Albe ,  one which had been written about 20 years before at the height of the French grand opera tradition and which had previously been offered to Halévy (who refused it) and to Donizetti (who partly set it to music in 1839 under the original title). Verdi raised many objections, many of these being outlined in a letter from Scribe to Duveyrier of December 1853. They included a change of location, of characters' names, certain specific situations (there being no beer halls in Sicily, for example), plus a demand for a "standard" fifth act to make it equivalent to Meyerbeer's Les Huguenots or Le Prophète . Le duc d'Albe or Il duca d'Alba is an opera in three acts originally composed by Gaetano Donizetti in 1839 to a French language libretto by Eugène Scribe and Charles Duveyrier. Its title, which translates as The Duke of Alba, refers to its protagonist Fernando Álvarez de Toledo, 3rd Duke of Alba. The work was intended for performance at the Paris Opéra. However, William Ashbrook notes that "Rosine Stoltz, the director's mistress, disliked her intended role of Hélène and Donizetti put the work aside when it was half completed". Jacques-François-Fromental-Élie Halévy, usually known as Fromental Halévy, was a French composer. He is known today largely for his opera La Juive. Les Huguenots is a French opera by Giacomo Meyerbeer, one of the most popular and spectacular examples of the style of grand opera. In five acts, to a libretto by Eugène Scribe and Émile Deschamps, it premiered in Paris in 1836. Verdi spent 1854 forcing Scribe to make revisions while writing the music, "complaining about the sheer length demanded by audiences at the Opéra". Overall, it was a frustrating time for the composer, especially in dealing with Scribe's 5th act. The librettist was unresponsive to Verdi's pleas for revisions, until finally, he was forced in late 1854 (with no premiere in sight and the mysterious disappearance from rehearsals of Sophie Cruvelli, who sang Hélène) to write to the Opera's director, Louis Crosnier: "To avoid the catastrophe that menaces us ... I see but one means and I do not hesitate to propose it: dissolution of the contract". However, Verdi persevered and was present at the June 1855 premiere, by then having spent close to two years in Paris working on the opera. An Italian libretto was quickly prepared under Verdi's supervision by the poet Ettore Caimi. The composer was aware that in Italy at that time, it would have been impossible to place the story in Sicily, as he notes to his publisher Giulio Ricordi in April 1855: "I shall ... (change) the subject so as to render it acceptable for Italian theatres". Based on Scribe's suggestions for changing the location - "I suggested that the Duke of Alba should just pack his bags once more and move to Lisbon"  - it became Portugal in 1640 while under Spanish control. Therefore, the title was changed to Giovanna de Guzman. Overall, Verdi was not happy with the translation, which Budden regards as "one of the worst ever perpetrated. However, some improvements were made when the opera reverted to its translated Italian title after 1861. After 1861, in the post-unification era, the opera reverted to its translated Italian title, I vespri siciliani  and it is sometimes performed under that title and in that version today. Prior to the events of the opera, Procida, a leading Sicilian patriot, was wounded by French troops during their invasion of Sicily, and was forced into exile. Montfort, leader of the French troops, raped a Sicilian woman who later gave birth to a son, Henri. Montfort became governor of Sicily, while the Sicilian woman brought up her son to hate him, without revealing to Henri that Montfort was his father. Thibault, Robert and other French soldiers have gathered in front of the Governor's palace. As they offer a toast to their homeland, they are observed by the local Sicilians, unhappy with the occupation. Hélène, who is being held hostage by the French governor, Montfort, enters dressed in mourning for her brother, Duke Frédéric of Austria, who had been executed by the French exactly a year before and whose death remains unavenged. Somewhat drunk, Robert, a French soldier of low rank, demands that she sing and she agrees. Her song about the prayers of seamen (Viens à nous, Dieu tutélaire – "Pray, O mighty God, calm with thy smile both sky and sea") and God's reply of "let dangers be scorned" ends with a rallying-cry (Courage!… du courage!) to the Sicilians to rebel against the occupiers. When the governor enters, the crowd calms down. Henri, just released from prison, assures Hélène how deeply he despises the governor. Overhearing this, Montfort orders Hélène to leave and then, alone with Henri, offers him a powerful position with his men as long as he stays away from Hélène. He refuses, and immediately follows Hélène into the palace. Procida lands on the shore from a small fishing boat. 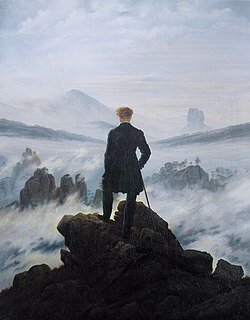 It is clear that he is returning from exile and he expresses his joy at returning to his native land and city (Et toi, Palerme – "O thou Palermo, adored land…"). He is surrounded by Mainfroid and other companions and he quickly orders his men to bring Hélène and Henri to him (Dans l'ombre et le silence – "In darkness and in silence"). The three make plans for an uprising during the impending festivities leading to the marriages of a group of young people. After Procida leaves, Hélène asks Henri what reward he seeks. Swearing that he will avenge her brother's death, he asks for nothing but her love. Béthune arrives with an invitation from Montfort to attend a ball. Henri refuses and is arrested and dragged off. Led by Robert, a group of French soldiers arrive and Procida returns and sees that it is too late to save Henri, since the young people have come into the square and have begun to dance. As the dance becomes more lively, Robert signals to his men, who seize many of the young women, dragging them off in spite of the protests of the young Sicilian men. The dejected young men witness a passing boat filled with French nobles and Sicilian women, all bound for the ball. Procida and others determine to gain entrance to the ball and seek their revenge. Montfort reads a paper from the woman whom he abducted, which reveals that Henri is his son (Si, m'abboriva ed a ragion! – "Yes, she despised me, and rightly!"). Béthune tells him that Henri has been brought by force, but Montfort exalts in the fact that his son is close by (Au sein de la puissance – "Given over to riches, surrounded by honors, an immense, horrid void…"). The two men confront one another and Henri is somewhat puzzled by the way he is being treated. Finally, Montfort reveals the letter written by Henri's mother. Taken aback but still defiant, Henri insults his father who reacts in anger as the younger man rushes out: "Fatal word!, Mortal insult! The joy has vanished ...". When Montfort enters, he gives the signal for the ballet to begin. In the crowd, but disguised, are Hélène, Henri, and Procida. Henri is surprised when the two reveal themselves and they declare that their purpose is to save the young man. However, he is disturbed to hear that they intend to kill Montfort and when the father approaches the son, there is a hint of warning given. As approaching assassins close in, Henri leaps in front of his father just as Hélène approaches. The Sicilians are horrified to see that Henri is being spared as the ensemble contemplates the situation. Hélène, Procida, Daniéli and the Sicilians curse Henri as they are dragged away, while he wants to follow, but is restrained by Montfort. Henri arrives at the prison gate and, on Montfort's orders, waits to be admitted. He contemplates the situation that his friends are in (O jour de peine – Day of weeping, of fierce sorrow!"). Hélène is brought out and confronts him. Finally, he admits that Montfort is his father and she begins to be willing to sympathise (Henri! Ah, parli a un core… – "Henri! Ah, you speak to a heart already prepared to forgive") Not seeing Henri, Procida approaches Hélène and reveals a letter telling him of awaiting freedom. But Montfort arrives and orders a priest and the execution of the prisoners while Procida is amazed to discover the truth of Henri's situation. Henri begs for mercy for his friends and Montfort confronts him with one thing: Dimmi sol, di’ “Mio padre” – "Say to me only, say “My father” ...". Henri says nothing as the executioner appears and the couple are led away, followed by Henri. Montfort steps in to prevent him from joining them. As Hélène is led towards the executioner, Montfort steps in and announces a pardon for the Sicilians. Furthermore, he agrees to the marriage of Hélène and Henri and announces to the crowd: "I find a son again!". There is general rejoicing. As knights and maidens gather, Hélène gives thanks to all (Merci, jeunes amies – "Thank you, beloved friends"). Henri arrives, exclaiming his joy (La brise souffle au loin – "The breeze hovers about…"). He leaves to find his father, but Procida arrives, announcing a plan to outwit his enemies with their massacre to take place at the foot of the altar after the vows have been said. She is torn, the more so following Henri's return, between her love and her duty (Sorte fatal! Oh, fier cimento! – "Fatal destiny! Oh, fierce conflict!"). Finally, she can go no further and she tells Henri that they cannot be married. Both men are furious with her for her seeming betrayal. Then Montfort arrives, takes the couple's hands, joins them together, and pronounces them married as the bells begin to ring. This is the signal for the Sicilians to rush in and hurl themselves upon Montfort and the French. In your position I wouldn't tie myself in any way for the present. I should look for a libretto I liked and set it to music without any engagement and in my own time. (Italics in the original). Roger Soyer is a French operatic bass-baritone, particularly associated with the French repertory and with Mozart. The Liber Jani de Procida et Palialoco is a medieval Tuscan history of the Sicilian Vespers. It focusses on the conspiratorial role played by John of Procida, cast as the villain. It was almost certainly written in Tuscany and is often considered synoptic with the Leggenda di Messer Gianni di Procida, written by a Modenese Guelf. The contemporaneous Sicilian Rebellamentu di Sichilia portrays John as a hero. Both Tuscan versions are later than the Sicilian, but may share the Reballamentu as a source. Conversely, all three may derive from an earlier, now lost source. All three agree on the centrality of John of Procida in the Vespers. The Liber emphasises his connexion with Michael VIII Palaeologus, the Byzantine emperor. Marie Constance Sasse [Sax, Saxe, Sass] was a Belgian operatic soprano. "Her voice was powerful, flexible, and appealing", and she was one of the leading sopranos at the Paris Opéra from 1860 to 1870. She created the roles of Elisabeth in the Paris premiere of Wagner's Tannhäuser, Sélika in the world premiere of Meyerbeer's L'Africaine, and Elisabeth de Valois in the world premiere of Verdi's Don Carlos. Marc Bonnehée was a French opera singer who sang leading baritone roles at the Paris Opera (1853–1864) and at the Opéra de Toulouse. Louis-Henri Obin, born in Ascq, near Lille on 4 August 1820, died in Paris on 9 November 1895, was a French operatic bass. He created some of the most notable roles in French grand opera at the Paris Opera, including the part of King Philip II in Verdi's Don Carlos. ↑ Verdi to Clara Maffei, in Budden, p. 187. ↑ Willson 2013, p. 47, notes that Verdi was willing to comply with the traditions of Parisian Grand opera although "the precise position of [the] dance episodes was not stipulated", but the location favoured by the Opera's management and most composers was midway through the grand opera's long-haul journey, the second or third act (or both). ↑ Strepponi to Verdi, 17 January 1853, in Kolodin, p. 8. Backman, Clifford R. (2002), The Decline and Fall of Medieval Sicily: Politics, Religion, and Economy in the Reign of Frederick III, 1296–1337 Cambridge: Cambridge University Press. Kolodin, Irving (1974), "I vespri Siciliani: How It Came to Be - What it Came to Be". Essay in booklet accompanying the (Italian language) Levine RCA recording, BMG. Willson, Flora (2013), "Bear of Busetto, Lord of the Dance", Les Vêpres siciliennes, Royal Opera House, Covent Garden. Program book for 2013 production. pp. 44 to 49. Hibberd, Sarah (2013), "The Creation of Les Vêpres siciliennes, Royal Opera House, Covent Garden. Program book for 2013 production. pp. 11 to 17. White, Jonathan (2013), "Problems of Historical Licence", Les Vêpres siciliennes, Royal Opera House, Covent Garden. Program book for 2013 production. pp. 19 to 25. Wintle, Christopher (2013), "Fortunate Untruth", Les Vêpres siciliennes, Royal Opera House, Covent Garden. Program book for 2013 production. pp. 36 to 43.